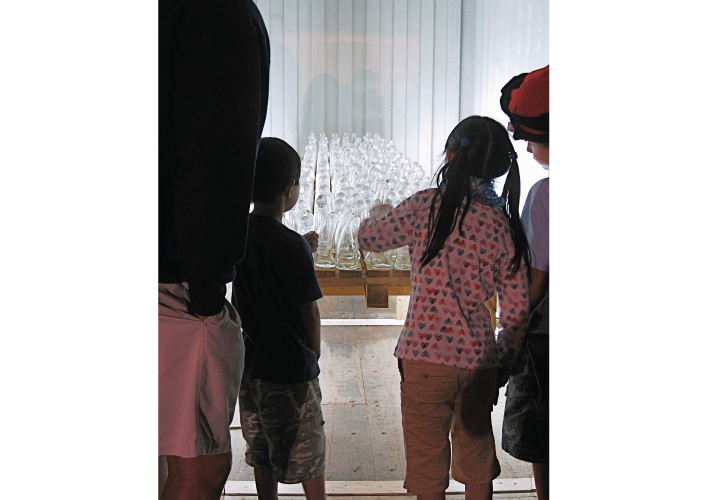 Shipping Container, Hand Formed Glass Figurines, Pallets, Illumination. 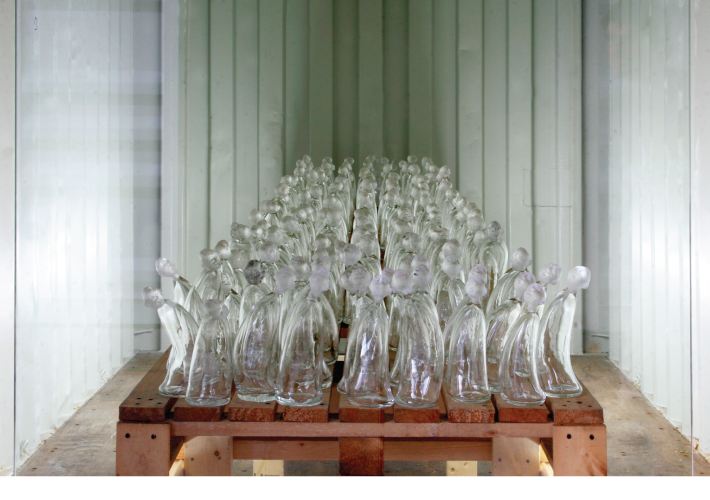 Empty Vessels is a body of work comprised of 1000 hand blown and cast crystal figurines. Placing the Empty Vessels behind a storefront window on pallets in a shipping container draws attention to the figurines as a commodity – an object of desire and a metaphor of human natures desire for fulfillment. As shipping containers are designed to be filled with goods and transported to other destinations, so too the Empty Vessels purpose as a vacant container reflects a humanistic search for fulfillment of something that may be amiss, wanted or needed. Container Art, 2009. Pacific National Exhibition.